As of writing, the 3 of us (Kokobear, Ate Amie and I) are now in the airport going back to Dubai/Abu Dhabi. It’s 5:27 am – from Colombo airport there is a layover to Mattalla for an hour then Dubai. While waiting to board FZ 551 I have chosen to start this series of blog with the summary of our itirenary! Checked in the hotel – Paradise Beach Hotel in Lewis Place Negombo. It is 15-20 minutes ride from the airport. Talked to HF (Holiday Factory) representative – Mr. Vasantha regarding our plan for the daily tour. We walked the street in Lewis Place where restaurants & souvenier shops lined up. Details and more in the upcoming blogs! 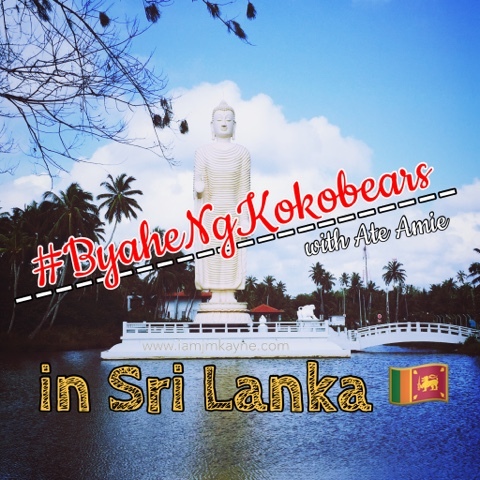 This is #ByaheNgKokobearsWithAteAmie in Sri Lanka.